I’m Lee Hamilton, a Realtor® with Allen Tate, and I specialize in selling residential real estate in my hometown of Rock Hill, SC. Allen Tate is the top real estate agency in North Carolina and South Carolina. Founded in Charlotte in 1957, the company has had a strong presence in Rock Hill and York County for decades. I’m a native of Rock Hill and a Clemson University graduate, and I know what it takes to connect buyers and sellers of Rock Hill real estate. As one of our area’s top producing real estate agents in both volume sold and transactions closed, I average more than one close a week. Whatever your residential real estate needs may be, I’m ready to get to work for you. Real estate is conducted on a local level, so use a local professional. 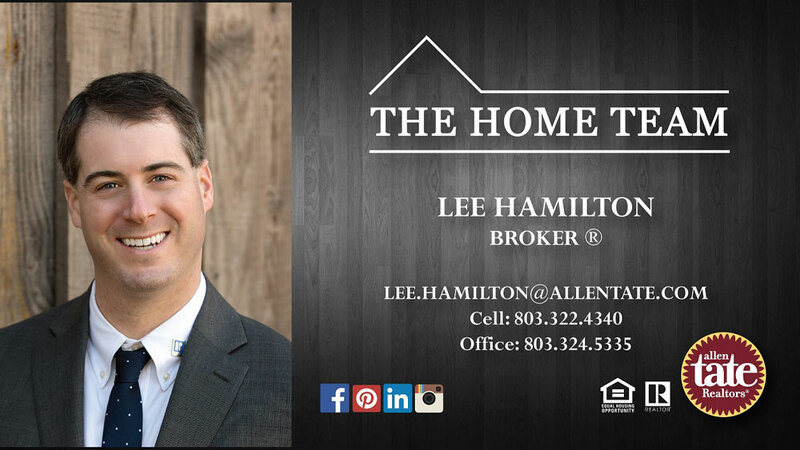 Choose your hometown Realtor®, Lee Hamilton. Contact me, Lee Hamilton, to learn more about the residential real estate market in Rock Hill, SC and how I can help you buy or sell your home.